Introduction and Who Are You? An Islamic Future? Are Christians ready? Our Actual Future? (What if?) - Seriously - What if? Will the Future be Repeated? Hitler's "Positive Christianity?" From my recent visit to an exhibit at Pompeii; we never know how much time we have do we? Today the West is becoming more and more secular in its nature; this in itself should not be that surprising since even in the Book of Judges is ends by saying: "Everyone did what was right in their own eyes." Similarly we only have to look at Hitler's twisted version of "Positive Christianity" (Google it or click to the below left of the screen) to see how many if not most of the churches are quick to jump on the politically-correct/popular band-wagon of the day. *But what if the Bible is accurate in what it says? What is 2+2=4 even if everyone is offended by it? Today we are more worried about transgender rights than we are the genocide happening in the Middle East and if the Bible is right we will all be judged on this; so whether we think this is "fair" or not if it is true then it is true in the same way 2+2=4 even if we don't like it. With that being said I believe it is very important for Christians to begin thinking like the Pilgrim Church we describe here and that has a history stemming from the 1st century. *Also we have seen a whirl-wind of persecution erupting across the world with continued academic persecution in the USA and Europe with any mention of God/Bible or even Intelligent Design being made illegal; couple this with the fact that as I type this there are court motions in place to cut tax-funding/tax-free status from churches, etc. (I'm actually okay with this but today's church is built on sand in many instances and they will begin to crumble as these type of persecution measures increase). ALL this goes on to show that preparing for persecution and a more "Pilgrim-like" church is essential (and biblical) for the future of the faith and "if" we are really Christians we will prepare now (not after the football game or retirement meeting...) **As bad as it sounds we need to either start being Christians or just quit pretending. With an MA in history I can't help but recall that Hitler or Stalin's attacks on Jews/Christians for example were supported by the majority of the populace; and this populace was educated and "supposedly" had a Christian-base? The purpose of this site is simple: To equip each and everyone who has an interest in being a more active Christian (or finding out more what that means), will get a very simple overview of why God must exist, why Christ is the answer, why the Bible is accurate and what the Bible tells us and finally how to communicate these points to both believer and unbeliever alike. I have various videos and quizes on each tab and if you will go through this entire certificate program we will send you a certificate of completion and over $200 of retail value products to help you go into the world sharing Christ in the simple manner that we have Lord willing been able to communicate to you, thereby preparing other for a time in the not so distant future when churches will begin to close rapidly and the laypersons like you and I will be called on like St. Patrick of Ireland/Scotland to continue to carry the light of Christ's truth in a world covered by darkness. The best way to summarize the humble mission of this site is from the book Pilgrim Church by E.H. Broadbent. 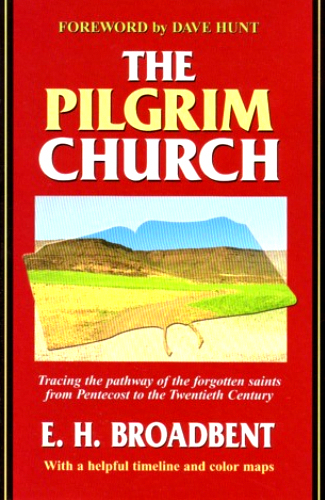 The Pilgrim Church (first published in 1931) is an alternative history of the church, unrecorded by secular history. It covers the history of many small churches throughout the ages that have attempted to follow the New Testament church pattern, the success of those that followed the pattern laid out by the apostles and the consequences to the churches that fell away from the pattern. He looks broadly at many groups such as the Paulicians, the Bogomils, the Nestorians, the Waldensians, the Anabaptists, the Hutterites, the Methodists, the Russian Mennonites and the Mennonite Brethren. He classified early primitive churches to Anabaptist, and to Moravian Brethren were historical Brethren Movement. In many ways this "is" the real history of the movement spawned by the church of the Book of Acts and it is these movements that survived and immense persecution and with no real money or resources were forced to Live the faith they professed vs. much of the come and go Laodician church today and from which our study will seek to surround (hence the term Lollard). We must not only be about this work but support groups/missions that are carrying forth this work. Many non-Christians do not realize it, but charitable givings are 90% Christian so who will pick up this work with Christianity on the decline? Therefore we (Christians) must work diligently while there is still time. Please click the above image to access a Free online version of this amazing work. Please keep in mind NOT to get overwhelmed by any of the study questions/quizes! We will work through each of these before going on to the next topic so don't worry if you do not know the answer; we will work thru it together. In other words power thru it as you watch some of the videos and read the materials and we will get through all of this together! (There are not "failing" here. :o) *Just make sure you use the Bible as your number 1 reference tool for this course as well as continual prayer and asking that God will lead us all to a greater, clearer and more realistic/actionable understanding of Him and His word. This is not a “denomination” nor is it a “club” first of all... but is what Christian theism seemed to be when it was referred to as “the Way” in the early accounts of Christianity as a movement. “Why” invent such a thing then? First of all this not an invention and if I were to ask the most liberal Anglican to the most conservative Anabaptist, both would agree with the majority of all points adhered to by this “Mere Christianity” approach. Moreover, this is the exact approach heavily persecuted China has used in their underground movement that has seem their numbers soar from 750,000 Christians (via Mere Christianity) in the 1950s to somewhere over 100 million today. This same type of movement may very well be needed in the United States as the media, educational systems, Islam and political correct ventures are attacking the Christian fronts more aggressively than ever. If we look at Russia a century ago we see a Christianity that was rich and flourishing but literally overnight the Lenin fascist regime took over and between the next generation of Lenin through Stalin the number of churches went from approximately 72,000 to 700 as priests and Christians were wholesale massacred with a total of approximately 30 million deaths. Similarly during the same time we see a Turkey comprised of about 20% Christians reduced to less than 5% when the genocide of the Armenian Christians were carried out in a mere decade. *Also we see Nazism being voted in and altering Christianity to what they called “Positive Christianity” that was basically a secular form of Christianity devoid of any type of biblical foundation and combined with the Nazism. A similar approach is easily seen today in the United States as the last 15 years has seen a growing and more aggressive attack on Christianity. Ironically we are seeing secularism and Islam working hand in hand simply because they have a similar enemy: Christian theism. So what will the future hold? Only God knows. ***This biggest take-away here and during my work across the world and through degrees in philosophy of religion and history and Graduate degrees in both theology as well as ancient history is that Russia, Turkey and Germany were simply caught unprepared while China was not; the result was that Christianity quickly faltered in Russia, Germany and Turkey and comprised their beliefs with the state powers as long as they were assured what Francis Schaffer called “personal peace and affluency” or the ability to be left alone and keep their material possessions and entertainments. Compare this with China who was prepared and flourished under persecution. Are we prepared? I think we all are mostly in agreement that we are not at all prepared and that we would go in the way of the Germans or Russians and that is why this form of Unity on “Mere Christianity” is so important for the future of authentic Christianity. Even now the same type of Positive Christianity proposed by Hitler to endorse adultery/homosexuality/ abortion/euthanization, the power of the state, personal peace and material wealth, that all religions are the same, and that we should not share our faith despite what the New Testament states. The choice is ours but I have tested the broad outline of what is discussed on this website in both Manhattan from 2010-2012 as well as on university campuses and in rural settings and they do indeed work both inside and outside of the United States. They are applicable and usable anywhere so why not start something similar today in preparation for an ever-growing West that is hostile to the Christian faith (which is exactly what Christ said would happen if we truly followed Him). 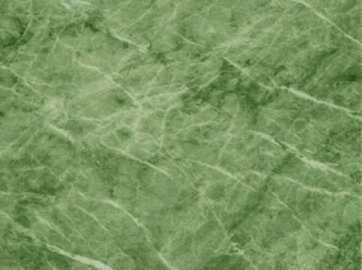 We are going to keep this site as simple as possible; the term Lollard was the term used to describe the simple Christians that sought to follow New Testament teachings and practiced the priesthood of all believers (that we are all priests with the world as our parrish instead of a few elite groups that went through a systematic training that usually devoted more time to their leaders than Scripture (ex: Lutheran, Calvinist, etc). The term was meant as an insult meaning "babbler" but what these men and women practiced from the 1st century through today was simple Christian teachings similar to those found in the New Testament. (Though the term was most often used to desribe Wycliffe's "poor priests" that went out to evangelize the country in their own langauge it could just as applicably be applied to groups such as the Waldensians, Anabaptists, or any of the great number of persecuted believers today in the world over that seek to follow Christ at all costs). *Please see to the left for more information on lollards via video. You will first request a packet that we will send you and then you will begin to complete each tab to the left. This will include a small introduction video by one of us (we are going through the material VERY quickly simply because it is not realistic to plan on a year long discourse (this has never been what is described in the New Testament as ideal nor is it practical)). We then will have various materials to read or videos to watch and a small quiz for you to send back to us and we will grade it and send it back. Next you will simply complete 7 lessons (each to the left of the screen) and take the test at the end of each lesson (which includes several videos to watch). These lessons cover a wide but necessary foundation of biblical components much like that of any lollard-like movement. *Fear not - there is no denominationalism supported here; what we cover (as does the New Testament) is why CS Lewis called "Mere Christianity". Upon completion of the program (you could finish in as short as a month or take as long as you need (it is self-paced) we will send you a certificate of completion and a wide assortment (over $100 retail) of goods to help you continue your journey in starting your own "Lollard" like ministry and continuing to train others (at the leading of the Holy Spirit) to carry the light of truth into a future of growing uncertainty. The program is really simple but having done a wide array of training fields I believe this simplistic approach is as good as a detailed systematic approach where you learn various creeds and formulas that have very little practical usage. Please click to the left and request your introduction package to begin our journey and thank you for your time and all thanks and glory be to God. The above picture shows how when push came to shove the "Church" quickly submitted to Hitler. 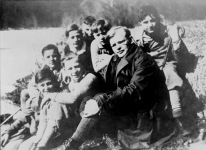 Only a few brave Christ-ians like Dietrich Bonhoeffer stood up to the Nazis while standing fast for Christ. Today there are 53 countries that have outlawed Christianity; there are a few brave souls tried by fire that are carrying on the true authentic Gospel message underground where the church is growing incredibly (such as in China). Russia was thought of as a Christian nation 100 years ago and almost over-night the Bolshevicks took power and destroyed 90% of all Christian churches and buildings seeking to drive out every Christian there was. *IF the same thing happened in the United States today would you submit and shake hands with Hitler too or would you go underground if needed to see that Christ's message went into all the world? "But whoever disowns me before men, I will disown him before my Father in heaven." "As long as it is day, we must do the works of him who sent me. Night is coming, when no one can work."